Macromedia Flash has become the standard for high visual and textual impact presentations on the Internet. Flash is the key for developing visual and verbal insight useful for designing and delivering animations, presentations, and Web sites. It offers scripting capabilities and server-side connectivity for creating engaging applications, interactive media rich presentations, Web interfaces, and training materials. The increased availability of powerful computers, sophisticated 2D and 3D rendering tools and greater accessibility to broadband has created a whole new 'animation' industry. We can produce complex animations for your website using Macromedia Flash. Use of Action Scripts add a powerful method to manipulate animation in real-time creating even greater realism and interactivity. We can deliver quality flash intros for your website or complete flash site at reasonable rates which are fraction of immense business leads they generate. Providing Information Technology Services and Solutions to clients located Worldwide. Since being founded in 1998. SAT Group has maintained a tradition of providing quality services to federal and commercial clients. SAT Group prides itself on its successful client track record. We attribute our success to the quality of our people and timely decisions made possible without traversing approval chains associated with larger corporations. Smart professionals plus maximum flexibility to meet client needs equals a winning combination. 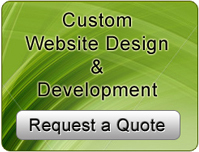 We save you hours of development time with our expertise in this domain. This is the same quality work that a highly paid web designer would charge you hundreds an hour to develop. We are able to bring you such economical offers to you through economies of scale.